Thanks to all who attended #ACS2018 or followed along with the live streamed panels! The 2018 Convention featured scores of legal and policy luminaries speaking on more than a dozen panels and skills-building workshops that addressed our current moment. 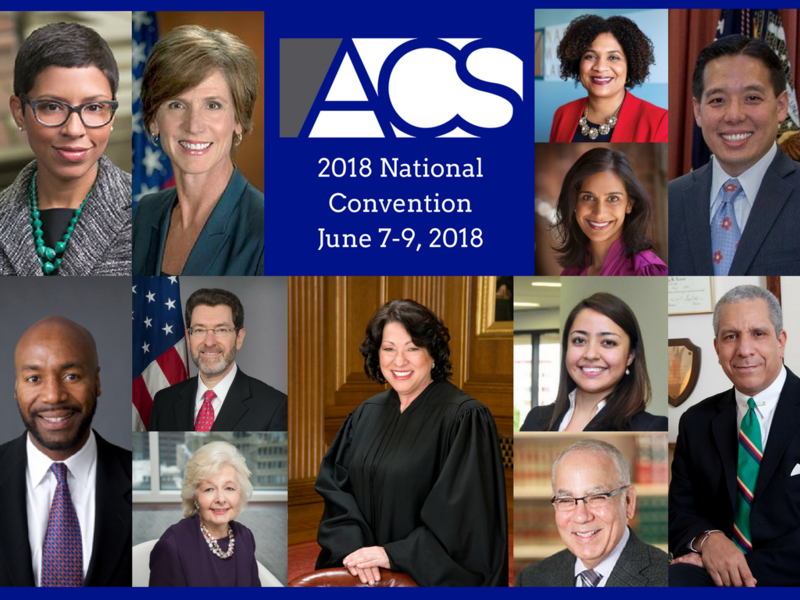 Our featured speakers included U.S. Supreme Court Justice Sonia Sotomayor, who engaged in a memorable conversation with her former law clerk and ACS national board member Professor Melissa Murray. New Jersey Attorney General Gurbir Grewal, Maryland Attorney General Brian Frosh, former acting U.S. Attorney General Sally Yates, and Undocumented Law Graduate Karla Quetzalli Perez also addressed attendees.